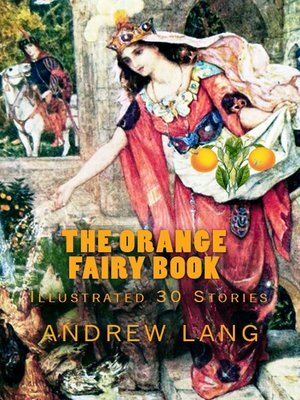 The children who read fairy books, or have fairy books read to them, do not read prefaces, and the parents, aunts, uncles, and cousins, who give fairy books to their daughters, nieces, and cousins, leave prefaces unread. For whom, then, are prefaces written? When an author publishes a book 'out of his own head,' he writes the preface for his own pleasure. After reading over his book in print—to make sure that all the 'u's' are not printed as 'n's,' and all the 'n's' as 'u's' in the proper names—then the author says, mildly, in his preface, what he thinks about his own book, and what he means it to prove—if he means it to prove anything—and why it is not a better book than it is. But, perhaps, nobody reads prefaces except other authors; and critics, who hope that they will find enough in the preface to enable them to do without reading any of the book. This appears to be the philosophy of prefaces in general, and perhaps authors might be more daring and candid than they are with advantage, and write regular criticisms of their own books in their prefaces, for nobody can be so good a critic of himself as the author—if he has a sense of humour. If he has not, the less he says in his preface the better. These Fairy Books, however, are not written by the Editor, as he has often explained, 'out of his own head.' The stories are taken from those told by grannies to grandchildren in many countries and in many languages—French, Italian, Spanish, Catalan, Gaelic, Icelandic, Cherokee, African, Indian, Australian, Slavonic, Eskimo, and what not. The stories are not literal, or word by word translations, but have been altered in many ways to make them suitable for children.